It’s been a Mod sort of March. First was the premiere of Dean Chalkley‘s short film “The New Faces“, (see my previous Dean Chalkley post) then Paul Weller plays five sold-out nights at the lovely Camden Roundhouse. 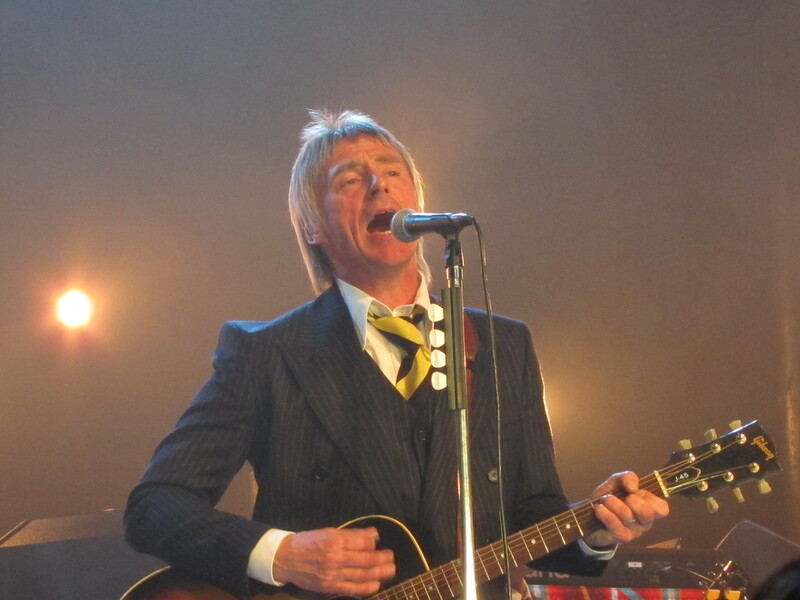 Dressed, er, modishly in suit and tie au knot grande, Weller played the whole of his new album Sonik Kicks, followed by a terrific acoustic set including a beautiful “English Rose”, a fantastic “Out of the Sinking” and sublime “No Tears To Cry”. This was all topped off with a rousing set of a dozen songs including Stanley Road and an encore of Eton Rifles. It really doesn’t get much better than that. Despite dressing in drainpipe trousers, green bomber jacket, white socks etc when I was 12 years old – i.e. a 1980’s mod, I wasn’t much of a Jam fan. Beat Surrender might have gone in straight to Number 1, but I was more interested in what Madness were doing. Madness were the S Club Juniors to The Jam’s S Club 7 – an analogy I know both bands’ sets of fans will be pleased with. Sadly I found 70s and 80’s rock far more exciting than the New Wave records. This is somewhat ironic, as for many the whole point of the New Wave / punk movement was to sweep away all the old bloated rock stars for something new and exciting. It’s not very cool, but I would have happily swept aside The Style Council for a bit more ZZ Top. But then I think a lot of fans of The Jam may have felt the same way. For me, Aerosmith were entering my world when Weller was still ploughing his Style Council furrow: I preferred that the “Train Kept a Rollin,” rather than to go “Down the Tube Station at Midnight” (see what I did there…). Now – I’m not so sure. I certainly believe in Weller’s last three records a whole lot more than Aerosmith’s last three. 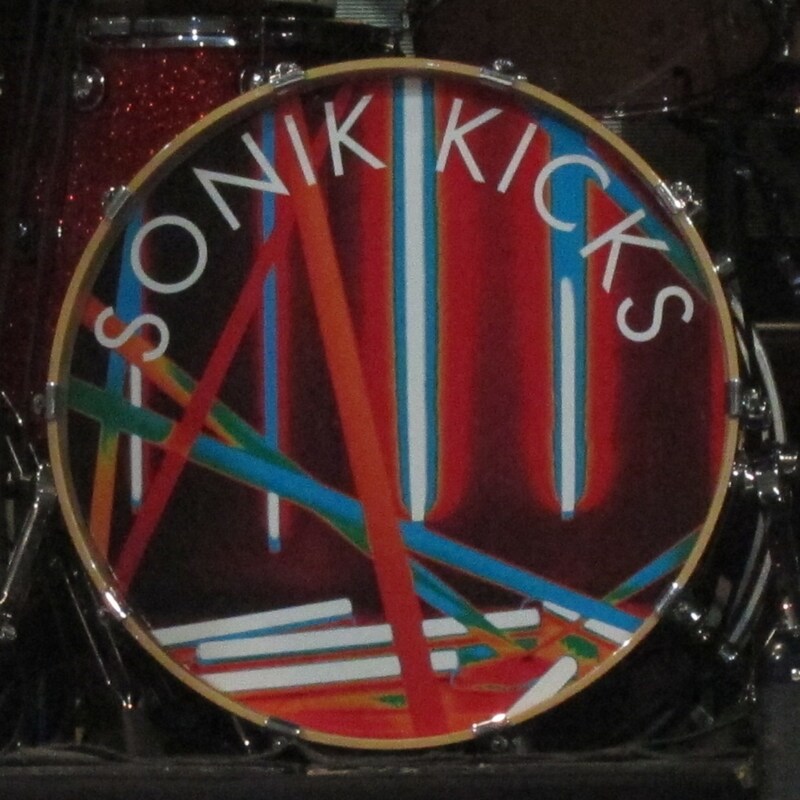 In the meantime Paul Weller has continued to spin Sonik masterpieces with as little effort as you or I might take to toss the latest CD by David Guetta in the bin. 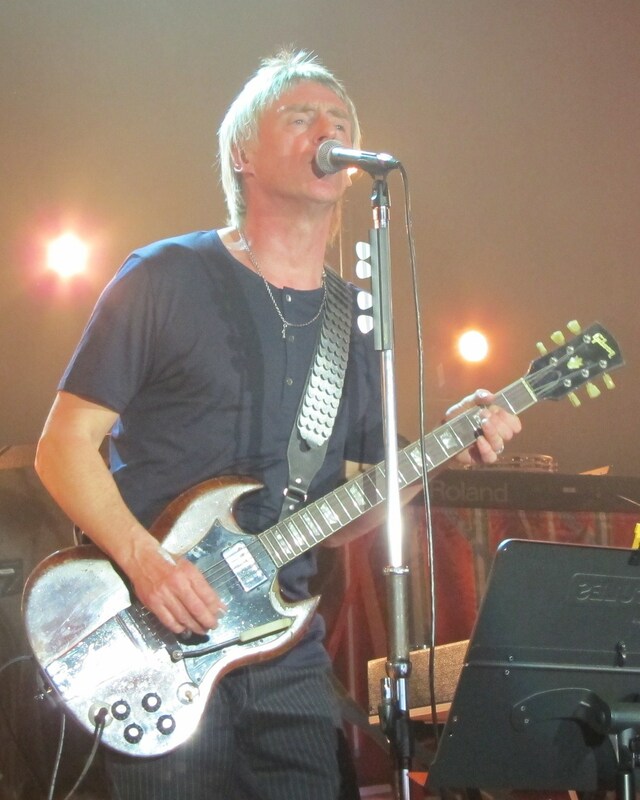 Weller has experimented musically but been true to the mod aesthetic. 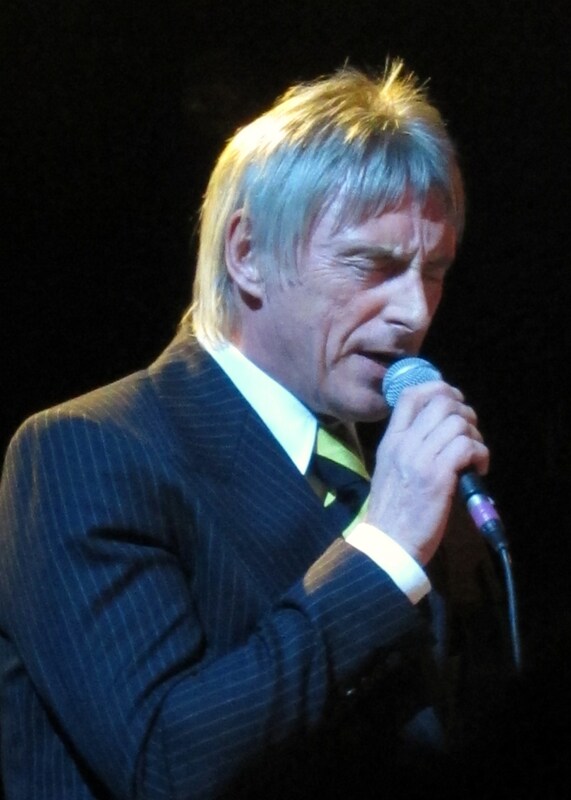 Albeit this aesthetic has not extended to his haircut which continues to give Weller the appearance of his having ironed a sleeping grey cockatoo onto his head. 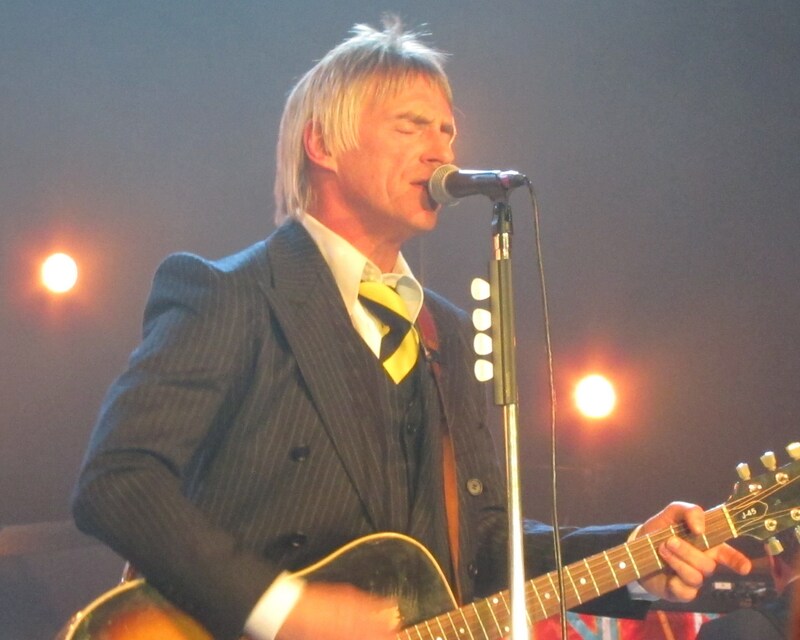 At the risk of sounding slower than the Southend United back four, it wasn’t until I heard 2011’s “Wake Up The Nation” that I realised what a genius Paul Weller still is. There aren’t many artists making records that good thirty five years into their career. It deserved its Mercury Music Prize nomination and I’m glad I finally got to see him in concert tonight. 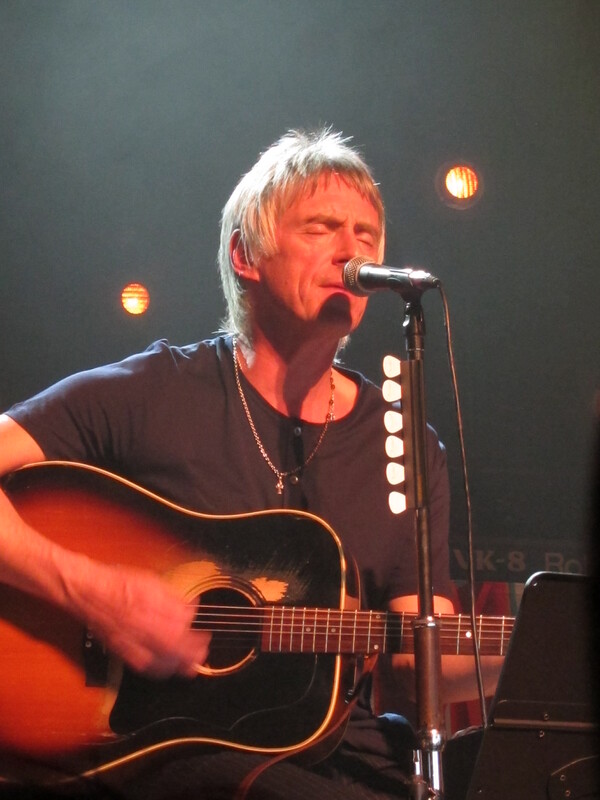 I like that Weller is still producing great new records – playing the whole of his new album is a bold move – but on tonight’s performance and judging by the crowd’s reception it’s the right one for Weller. I so wish I could’ve been there. I was not a huge Jam/Style Council fan either back in the day- and find I like the more mature Weller better- and for some reason- he sounds more modern and current that he did back then! Really like the pictures mate, how did you get so close? Lol. 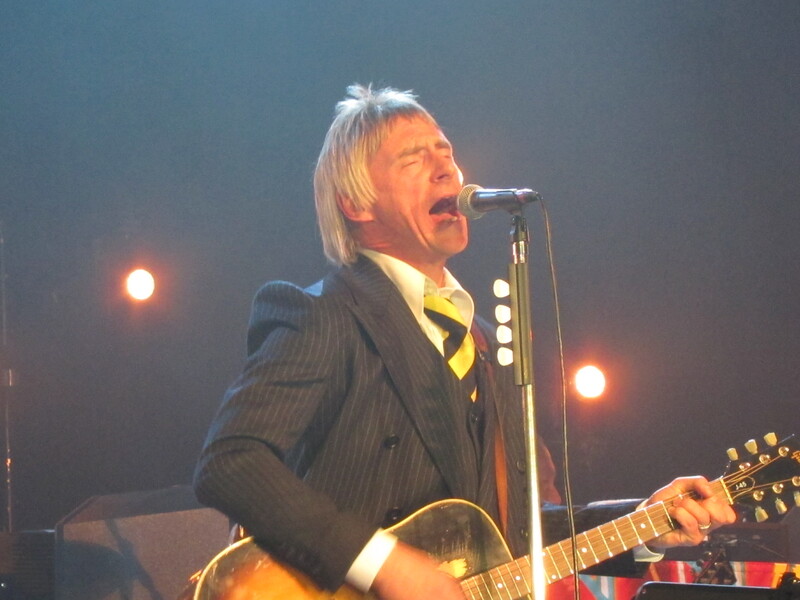 After another amazing Weller record, reckon I’m gonna go and see him again. 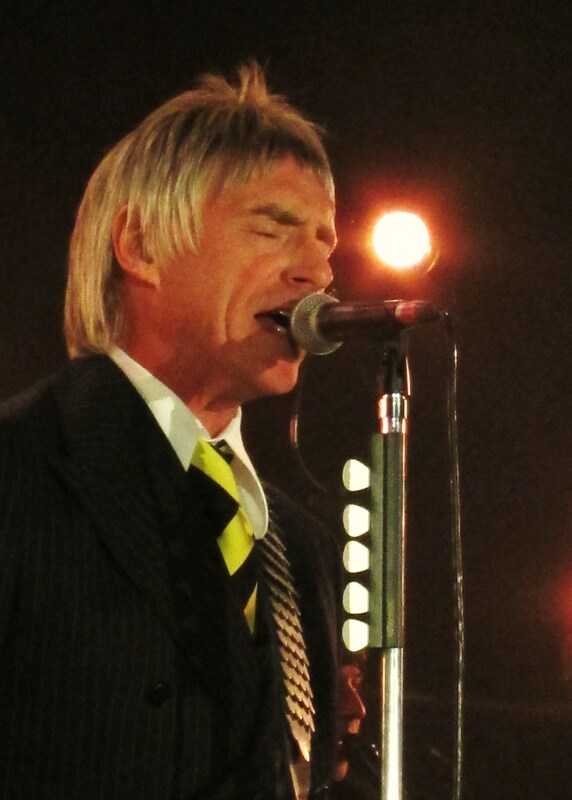 Paul Weller is always a sharp dresser. The eternal Mod.